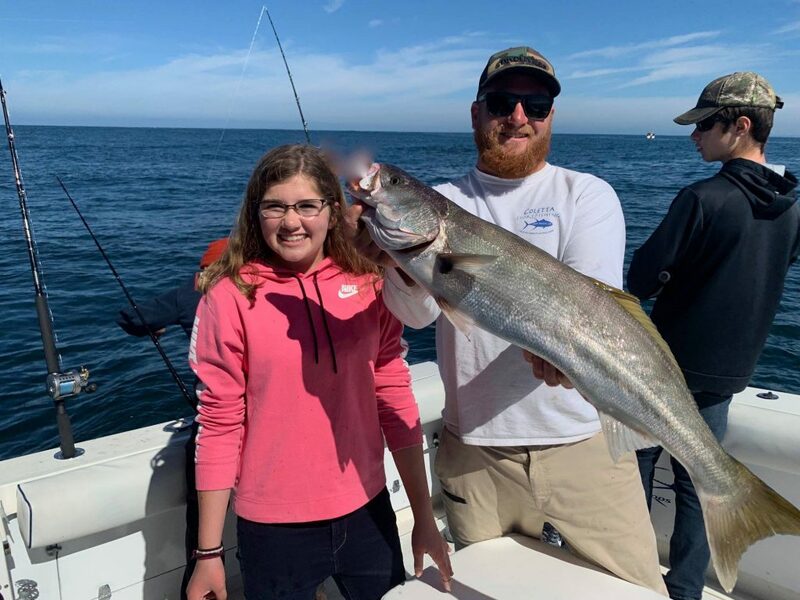 As we make our way into April, the fishing off of San Diego continues to be intense and rewarding for all of our anglers, especially our Family trips. Here at Coletta Sportfishing, we pride ourselves on delivering the San Diego fishing experience of a lifetime. As you can see below, the family that fishes together, stays together. It bears repeating that we have a well-earned reputation as a kid-friendly operation and welcome anglers of all experience and all ages to come enjoy this amazing fishery! 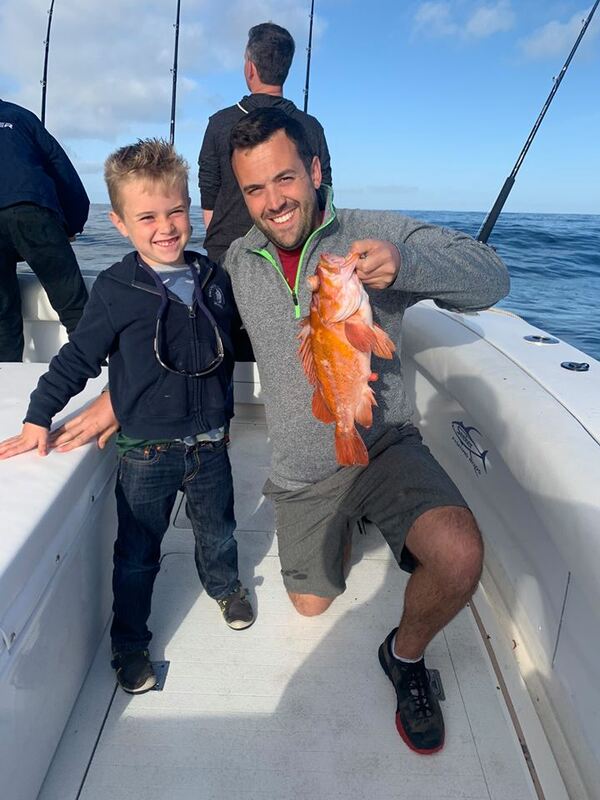 Captain Jon has been fishing aboard our World Famous boats, the “WANU” and Captain Hale has been operating the “SWELL CHASER” to put our clients and anglers on non-stop action. Our April and May trips are filling up quickly. NOW is the time to reserve your date and trip to experience our amazing Sand Diego fishery and wildlife. I can’t wait to see you come aboard the WANU or the SWELL CHASER! Spring San Diego White Seabass & More! Captain Hale running the Swell Chaser and first mate Trevor on the back deck on ½ day morning charter. Fishing was on the slower side out deep so they moved in and decide to target game and we’re rewarded with a beautiful white seabass. They caught 3 Rockfish, 3 Boccaccio, 1 halibut (released) and 1 white Seabass. Thanks Dirksen for choosing Coletta Sport Fishing for your fishing adventure. Captain Brain running the Wanu and first mate Tervor on a ½ day trip this morning. Excellent cod fishing this morning with quality and quantity. 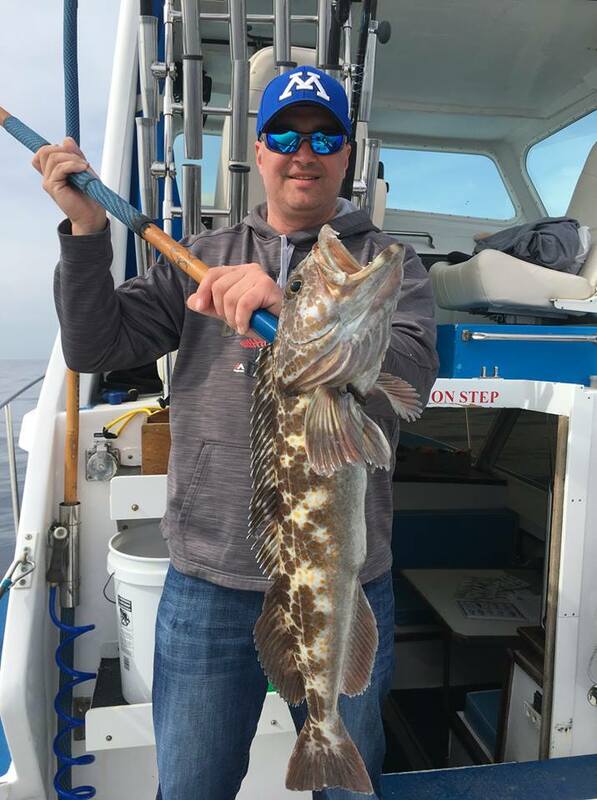 They caught 26 Salmon Grouper, 20 Rockfish (5 released) 2 Lingcod, 2 Copper Rockfish , 1 Blue Rockfish and 2 Sand Dabs released. Thanks Marty for choosing Coletta Sport Fishing for your fishing adventure. Great Father & Son Duo! Captain Hale running the Swell Chaser and first mate Trevor on the back deck on ½ day morning charter. They started out deep for rockfish that was on the slower side but then moved onto chasing gamefish, unfortunately they did not want to cooperate. Today’s fishing was slower than anticipated but our group left with a nice bag of filets for tacos. They caught 10 rockfish 4 Boccaccio. Thanks Rick for choosing Coletta Sport Fishing for your fishing adventure.